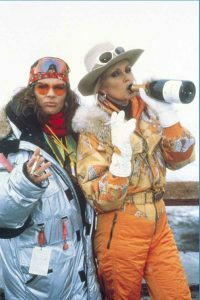 Dreaming about your next ski holiday and thinking about what to wear on and off the slopes!. 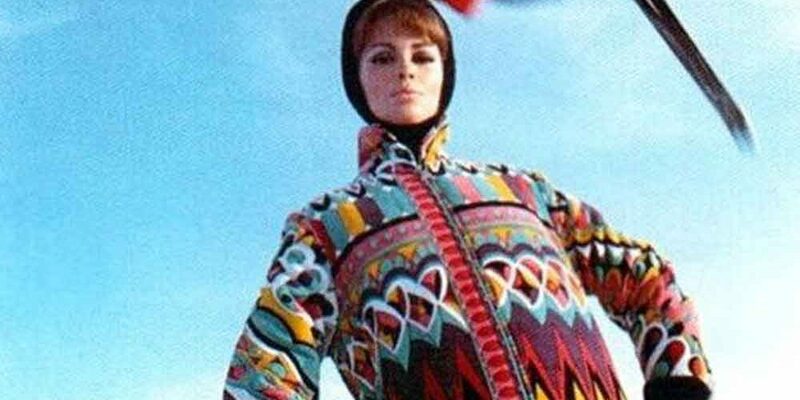 Discover my style inspiration from Vintage editorials; colour clash to cosy cables, this Winter edit also works well to banishing grey winter days and January Blues. 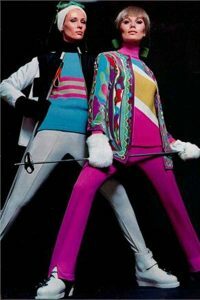 There’s nothing better than layering up colourful geometric knits in vivid hues. 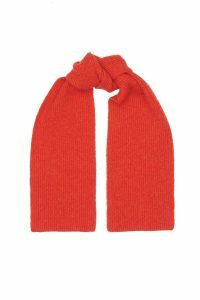 These fibres are chosen for their warmth and soft handle as well as their insulating properties, so it will keep you warm when your cold and cool when you’re hot. 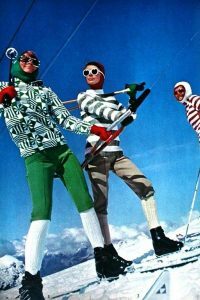 The Hand Intarsia collection is also a perfect statement sweater to take you from Apres Ski drinks to dinner. Complimentary colours, twinning with your friends and mixing and matching your favourite GS accessories. 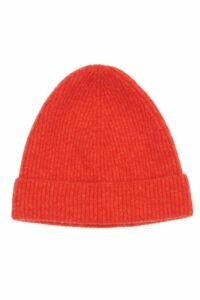 Made in Scotland and knitted in the softest lambswool to give you breathability and warmth. 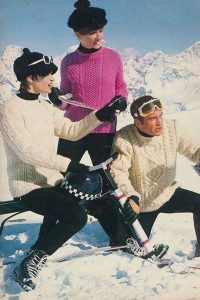 Nothing says Alpine style more than the cable jumper! The Wroxton jumper is the perfect winter jumper for all the snowy day feels. 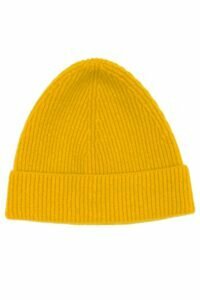 Imagine the Wroxton jumper whilst sipping on your hot chocolate. Looking for something to lounge around in the evenings after a long hard day skiing, look no further than the Elsa merino cashmere two-piece set. Effortless style with a lurex jacquard knitted in a merino cashmere to keep you cosy and warm, no one will blame you for nonchalantly lounging in front of the fire with a mulled wine. 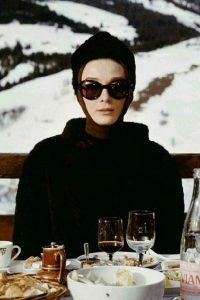 At the end of the day, we will all go out trying to style our best Audrey….but maybe end up like a Patsy by the end of Apres Ski… And there is nothing wrong with that!